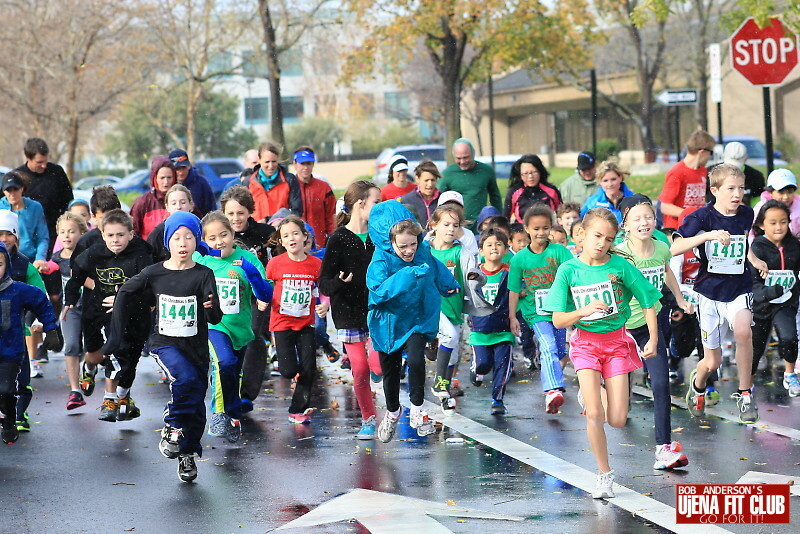 Our first Kids Cup Mile race was held in Pleasanton California two days before Christmas (Dec 23, 2012). 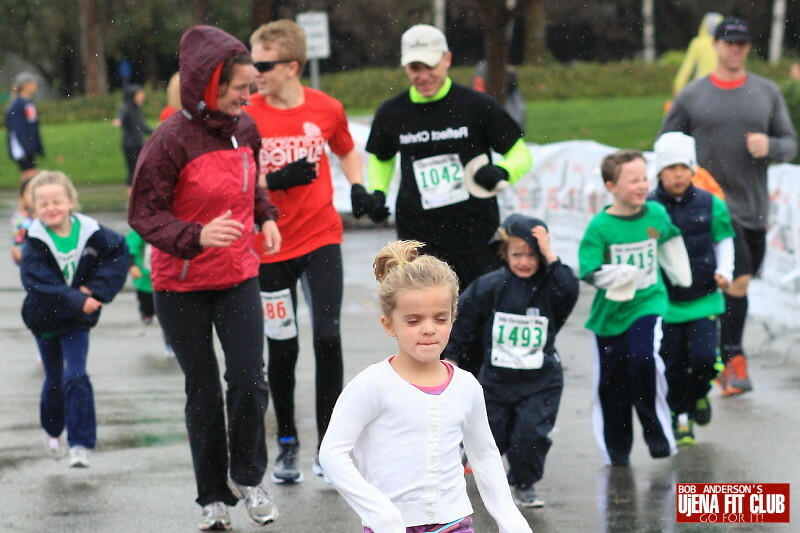 The weather was very challenging but nearly 100 kids age 10 and under braved the conditions. 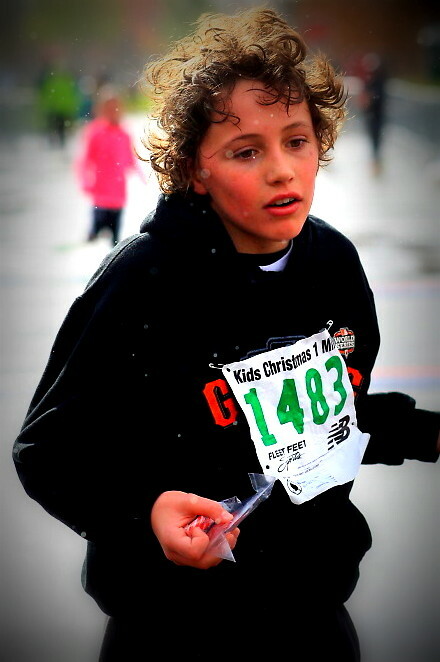 All kids received a Just Run! 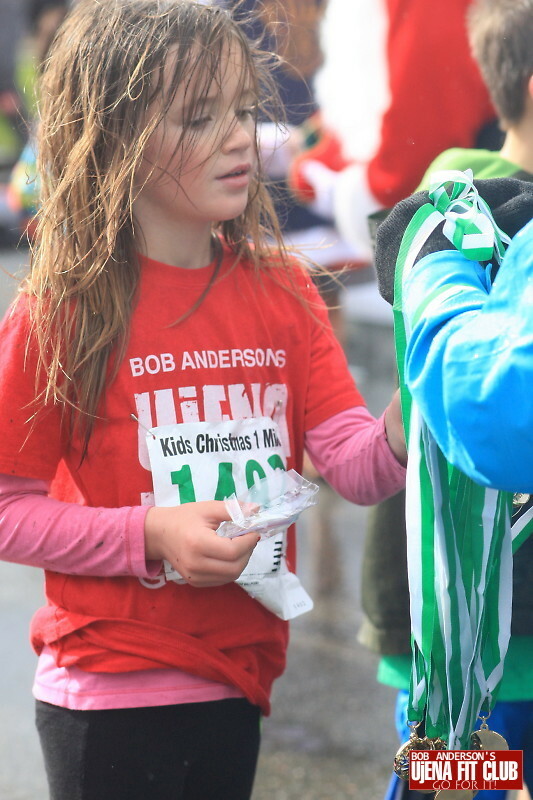 medal and a special x-mas award. 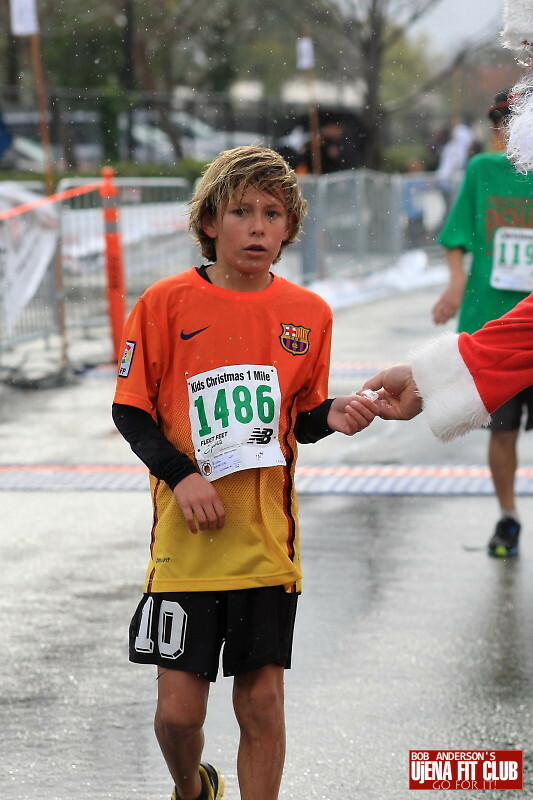 The Kids Cup Mile will be held at each Double Road Race location. Brings the kids! 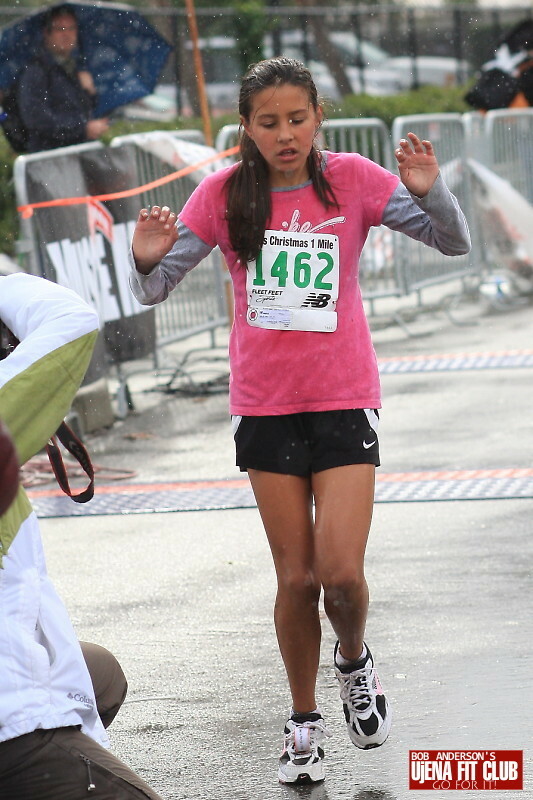 Make the Double a family event! Get the kids signed up. This event is for kids 10 and under. 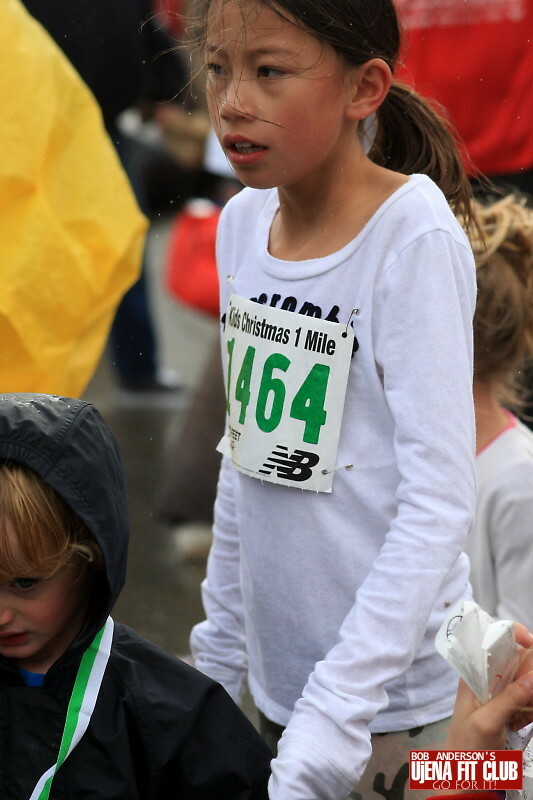 Kids over 10 should road the Road Mile Run/Walk.